Empress Bouquet(TM) on Conical Bell(R) vessel bathroom sink The Empress Bouquet design offers a modern interpretation of 18th-century Chinese print work. 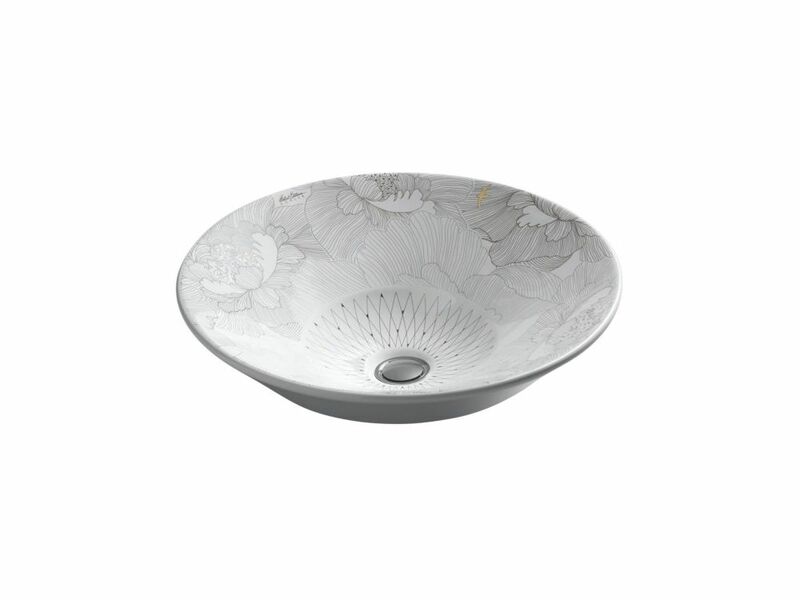 The exquisite floral motif with gold and platinum detailing embellishes this Conical Bell vessel sink. Each basin showcases a slightly different variation of the pattern, creating a one-of-a-kind focal point for your bath or powder room.